Join Product Innovator at Palladia Central Court, London on Tues 13th and Wed 14th September 2011, for our inaugural UK course. Contact us to book a place on any of our upcoming courses. Are your Technology Product Development and Sales Activities driven by Strategic Product Planning? What unique benefit does your product provide to your customers? Have you identified and involved key stakeholders in your product requirements process? Which proposed new features are most desirable to your customers? What are the “must-have” features that your customers can’t do without? What are your customers’ key purchasing criteria? How are you perceived by your target customers in relation to your competitors? Do you articulate your value proposition clearly and consistently to your customers? This course is essential for anyone who is responsible for bringing new products and services to market, and wants to ensure that they maxisimise their potential for success. A “training pack” consisting of templates, tools and supporting materials shall be provided to each attendee. Participants who pass the training assessment receive an “Endorsed Award” from ILM, the Institute of Management and Leadership, London. Product Innovator’s Product Management training course is based on their Pablo Transformation Process: Product Lifecycle Diagram. This process and supporting training materials are the fruit of extensive consulting experience in product management projects, and is further strengthened with comprehensive research into leading product management, strategy, technology and business approaches. 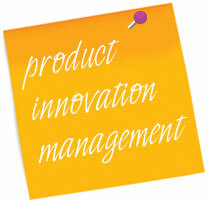 In 2006 Product Innovator received ILM endorsed status for their Product Management Training course. ILM is the Institute of Leadership and Management, a City and Guilds UK company. This course has been delivered to hundreds of industry professionals, from large established MNCs to start-ups, since 2005. This course is ideal for companies who want to avoid making expensive mistakes bringing products to market. Product Innovator provides an intensive two day product management course that focuses on the importance of building technology products that the market wants to buy. The course can be provided on-site or at scheduled times and locations.